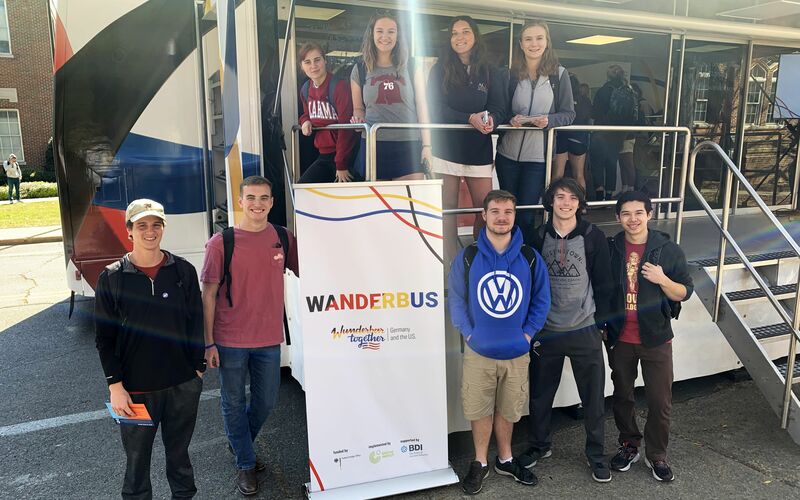 The WanderbUS stopped in Tuscaloosa to educate students about the German-American friendship as it makes its way through the continental United States this year. The WanderbUS hit the road in early March to educate students across the country about the German-American friendship. The bus has games for students, shows, videos and flyers about different German programs to help kids become more educated on German culture. WanderbUS Project Manager Valerie Czok said they are excited to cover all 48 states this year and hopes to share a little bit of her knowledge on the similarities between Germany and America. The WanderbUS is touring nearly 20,000 miles and will be on the road until Nov. 1.